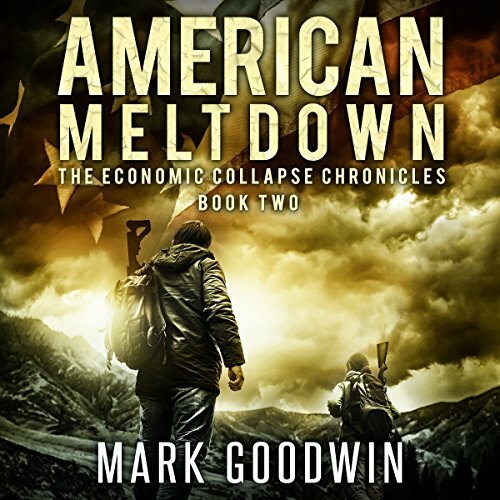 Written from a Christian constitutional worldview, American Meltdown, Book Two of The Economic Collapse Chronicles uses dystopian fiction to take an in-depth look at the economic and political trends that have taken America to the edge of bankruptcy. The book assesses the current course of the nation and projects it into the near future. 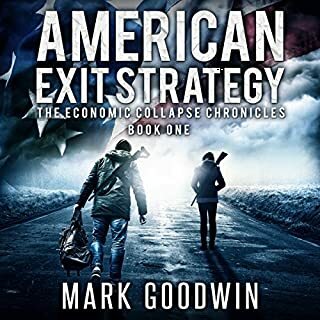 In Book Two, America has entered into a full scale financial meltdown. The members of the Bair family do the best they can to navigate a complete currency collapse and the social disruptions that come with it. Having relocated to a rural area in Kentucky, the Bairs fare much better than the unfortunate masses still trapped in the cities. In an effort to cling to power, President Anthony Howe announces the confiscation of provisions and guns. Several states, led by liberty-loving Senator Paul Randall, stand up to assert their sovereignty. Knowing the intentions of the Federal Government, Matt, Adam and Wesley Bair train with the local militia who have determined to draw a line in the sand and defend the last remnants of liberty. The political conflict escalates into military aggression and the gloves come off. What made the experience of listening to American Meltdown the most enjoyable? The eerie feeling that this can really happen. This book and the other two in the series are awesome books. Could not get enough of them and finished this one in three days! This book gives you a lot to think about!! It makes a person think what they'd do in this very real and possible situation. One thing I notice is the author give the females in the book very passive rolls. Women are stronger than he writes and would work and fight along with men to defend our country, God, children and way of life. I am enjoying this series. The premise isn't as far-fetched as some would probably like to believe, too. When men and women care about style over substance, and vain glory over sacrificial service, are thrust into positions of power, they will stop at nothing in pursuit of their agenda. It could happen today. 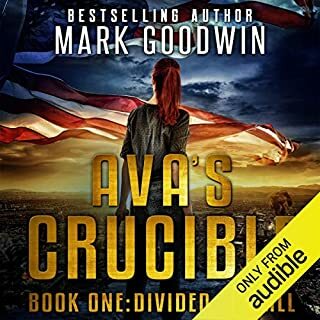 This author has a great awareness of current events and economic circumstances, and plays the potential realization of the consequences that may follow because of them. Exciting addition to the series. Builds upon the first installment very well. Cannot wait to finish the series. I highly recommend. Would you listen to American Meltdown again? Why? Yes. Many Biblical and Founding Fathers quotes I'd like to hear again. What was one of the most memorable moments of American Meltdown? 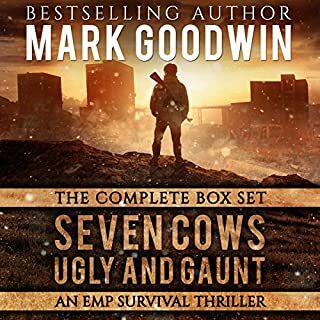 Mark Goodwin doesn't play middle of the road and doesn't try to be politically correct. Many times he could have said things like there are some good Liberals but most are against the Constitution. No. He calls it like it is. Some will like that. Others need to read something watered down. Not really. It's a lot to digest. I walk daily and listened to it between calls. Its 4.5 hours long so you get yours money worth. I purchased book 1 and 2 from the beginning partly because Kevin Pearce was performer. Great voice. My favorite story teller. Courageous. Biblical quotes and themes while not watering down how bad things would get in a economic collapse. Biblical quotes and words from the founders don't take over the story. They do help give it context. 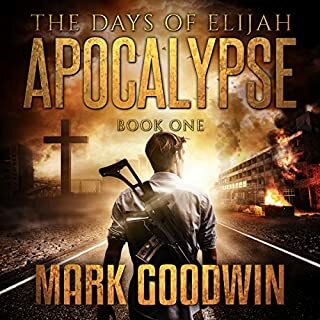 Mark Goodwin has some prophetic insight to our world! 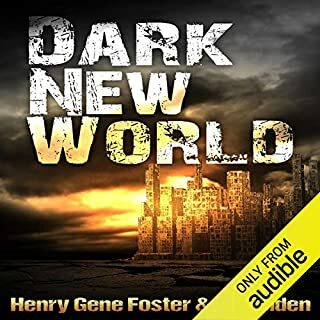 While listening to these books, I feel like we are going through this right now. It's only a matter of time!!! This is a very real depiction of the collapse of our currency and what would follow if we do nothing to curtail the rampant borrowing and spending being done by our government. It is a wake up call to all of us not just the prepper or militia types. 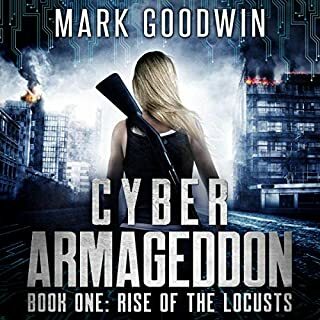 Yes, There are nuggets of preparedness throughout the book. Who was the most memorable character of American Meltdown and why? Adam - Knowledge, Skill, Loyalty & Faith. Not as good as Book 1, but still a good read. Too much talk about politics for my taste, more preachy in this Book 2 as well. In chapter 19 the prayer seemed disrespectful, as if giving God commands instead of supplicating Him humbly, but that impression may have been a result of the reader. Mostly happy with the reader. Prayer based on Psalm 3 good - and taking the 1 minute to pray even when under stress very smart. Other prayers very good. Very interesting story line about Jack and Tina's ordeal due to their leaving almost too late. Lots of interesting character development; nice organization of the coalition community. Re politics, naïve to think all coalition members Good and all Federals Bad. A lot very good in the book...living off the land with pellet gun, use of Dakota fires, need to work and be productive, reboot economy via barter, recognizing how useless money is, basing conduct on Bible guidelines. Nice references to Noachian flood, Sodom &amp; Gomorrah, and the Egyptian plagues. Ending very good with hero reflecting on memorized scriptures while in prison. I can recommend this book, although I do not agree with everything in it.